A routine Assay test is a test that is performed in order to evaluate the efficiency of metabolic processes and condition in the body. These metabolic processes give an indication of hormonal imbalances in the body. Hormones secreted by glands such as the adrenal glands and the parathyroid gland. 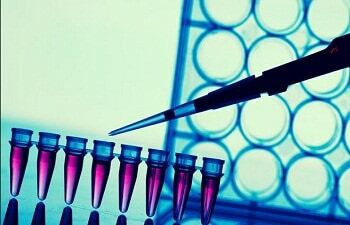 How is the Hormonal Assay Test Performed? The hormonal assay test is conducted as a blood test. A few millilitres of blood is drawn from a vein in the arm and is tested for the levels of the above-mentioned hormones. When would you need a Hormonal Assay Test? Only certain specific hormones may be tested for in a hormonal assay test, if the doctor so advises. The specialist at Apollo Fertility may also recommend a Hormonal Assay test if there arises a problem or a suspicion of a problem with the endocrine glands. An endocrine problem may be related to function of several glands in the body. viz. the adrenal glands, pituitary glands, the thyroid glands or even the testes or ovaries. Once your specialist at Apollo Fertility receives the results of your Hormonal Assay test, he/she compares the results to the normal levels of hormones expected in the bloodstream. The doctor categorises the levels of specific hormones as low, medium or high. A problem is then pinpointed by your specialist at Apollo Fertility and consequent treatment is undertaken for the same. It is important to note here that the results of the Hormonal Assay test need to be carefully examined by the doctor since a low or a high level of a certain hormone may not necessarily be indicative of a problem. In the same way, normal levels of a hormone may not always rule out the possibility of an underlying problem. A comprehensive evaluation thus becomes necessary and wrong assumptions made by simply looking at the results may have disastrous effects. At Apollo Fertility, we believe in providing care with a human touch. Thus, we ensure that all our patients receive the best possible care and treatment for their conditions. Our team of expert and experienced doctors at Apollo Fertility ensure the maximum chances of success of treatments administered at Apollo Fertility. Our extremely sensitive and experienced support staff makes sure that all our patients are comfortable and secure during the course of their treatments at Apollo Fertility. Our endeavor is to provide you with comfortable treatments with state of the art facilities and the most advanced equipments and procedures in the world, at competitive costs. We believe that each person deserves to receive the best treatment and care, and strive endlessly to ensure that you get the very best from us.